A simple, tasty, lean source of protein! We like to enjoy our flank steak with a large garden salad. This meal can be prepared in less than 20 minutes. In a small pan, add 1 tsp of olive oil, add chopped scallions & habanero pepper. Sauté’ to you liking and sit aside. *NOTE: MAKE SURE STEAK IS ROOM TEMP. BEFORE COOKING. 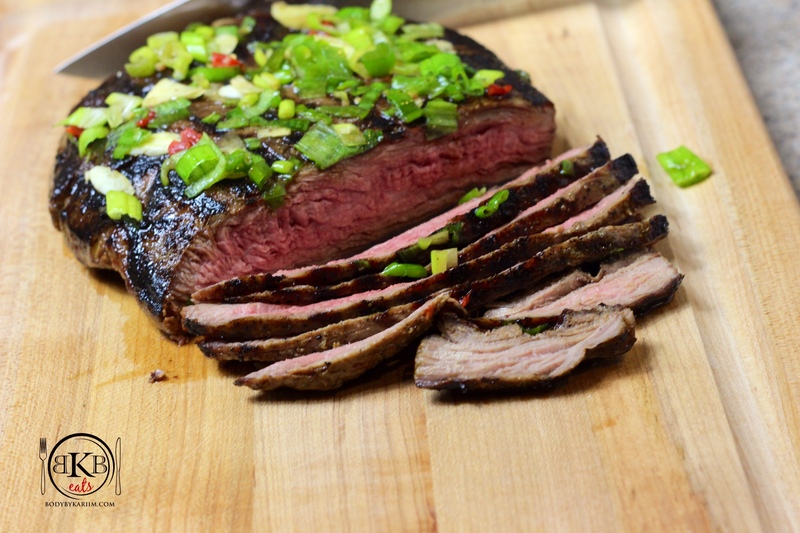 Place flank steak on cutting board, brush both sides with 1 tsp of olive oil. Evenly sprinkle sea salt and pepper on both sides. Turn frill pan on to high heat. Add 1 tsp of olive oil. 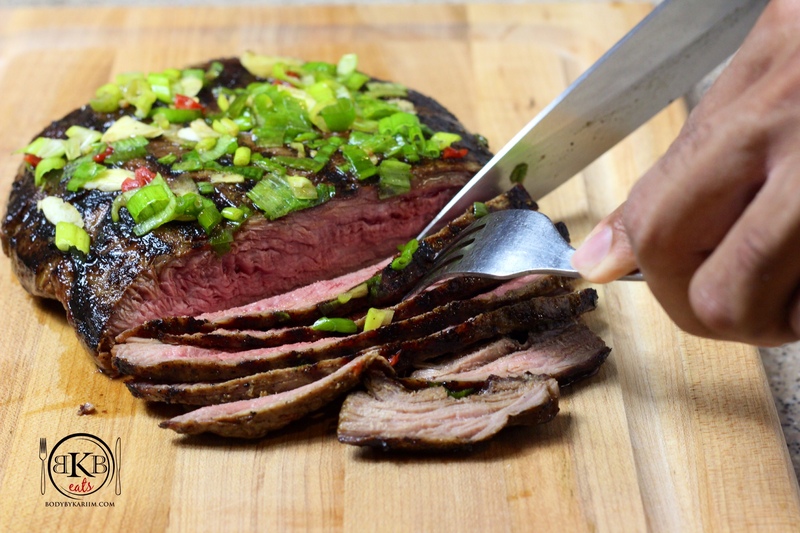 When pan is hot place flank steak onto pan and cook 4-6 minutes each side for Med Rare – Medium steak. Cook an additional 2 minutes on each side for Medium Well – Well Done. Remove from grill pan. Place on cutting board. Top with the sautéed scallions, etc…and let sit 10 minutes before slicing.